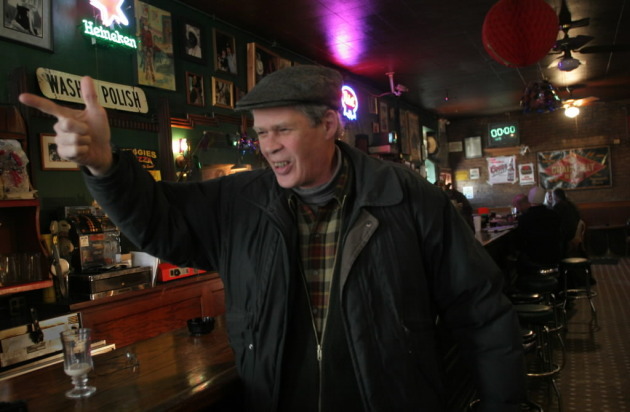 Why is a bar that has been around for almost 100 years now celebrating its 10th anniversary on Saturday? Because that's how long it has been since the current owners of Palmer's Bar took over the beloved/bedeviled West Bank watering hole. Considering the timing of their purchase -- just days after the 9/11 tragedies -- and the downward-spiraling economy since then, they certainly have reason to celebrate. "We seriously wondered if people were still going to be going out for drinks after 9/11," said Lisa Hammer, co-owner with her husband, Keith Berg. It was Keith who rightly surmised that "people drink in bad times as much as good times," Lisa said. Which isn't to say they've been lacking for good times the past 10 years at the bar, which opened in 1906 at 504 Cedar Ave.
Hammer and Berg got a taste of the storied history there when they found a woman's ivory-adorned corset hidden in the walls during some renovations, which they believe was leftover from the '30s when a brothel operated upstairs. The Prohibition era also reportedly saw a secret tunnel dug between Palmer's and the 5 Corners Saloon (now the Nomad Pub). For better or worse, Palmer's remains a bit of a relic. There's still no website to check who's performing there ("That's what keeps us a dive bar," jokes Berg). 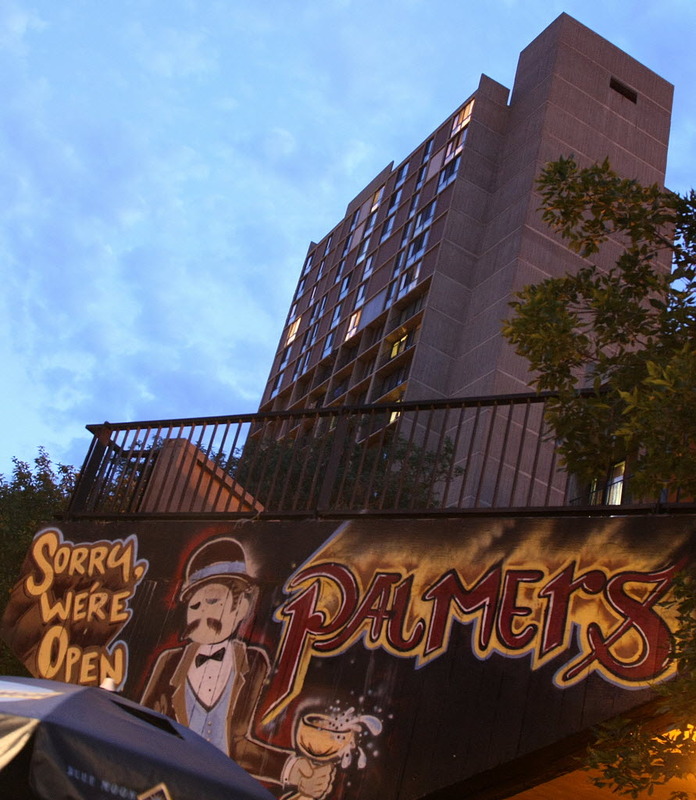 Things have changed quite dramatically around Palmer's, though, as the West Bank welcomed an influx of Somali and other African residents and businesses, while the Triple Rock and Nomad opened to bring back young rock fans. Hammer quipped, "We must be the only bar that shares a party wall with a mosque," referring to the Dar Al-Hijrah Islamic Civic Center. Those unlikely bedfellows had a recent run-in when one of the loudest bands in town, Chooglin', was performing at Palmer's the same night as the start of the holy month of Ramadan, unbeknownst to the bar's crew. "I got a call about 11 at night saying, 'We can't pray! The music's too loud!' " recounted Hammer, who now coordinates schedules with Dar Al-Hijrah to avoid such future run-ins. Saturday's free party will start out relatively quiet with Palmer's regular Spider John Koerner at 7:30 p.m. Don Von & the Solution will amp things up at 10 p.m., followed by GST around 11.